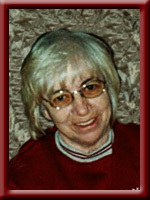 GALLAGHER – Joan E., 66, of Hunt’s Point, Queens County passed away peacefully at home on Monday, August 9th, 2010. Born in Hunt’s Point, she was a daughter of the late John and Beatrice Hagen. Joan will be fondly remembered as a warm , loving mother and grandmother. She is survived by her daughter Janet Papa and her children Joey and Chantal of Old Town, ME., her son William Gallagher and his wife Renee of Reading, Mass. She was predeceased by her husband William. I was so sorry to hear of your Mom’s passing.We were in school together,she was a very quiet person and a good friend.She will certainly be missed by everyone who knew her.My condolences to you all at this very sad time. We are sorry to hear of your loss, we grew up with Joan . She was a fine person, and will be missed by everyone who knew her. Thinking of you all at this sad time. I grew up with Your mom and went went through school with her. We played together and had lots of fun playing in your granddads old tearoom when we were young. Take care and remember all your good times with your mom. To the family of Joan Gallagher So very sorry to hear of Joan’s passing.She is now at peace.She had a long hard fight.My sisters and I grew up with Joan and last year I got to talk to her quite often.Please know that others are there for you. my sympathy to you and yours jean.. It is with sadness that we learned of thepassing of your Mom (grandmother) and may she be at peace after her long battle with cancer. Please know you are in our thoughts and prayers, and our deepest sympathy and condolencs to you all. Scott, Jen, Nora and Grace offer our deepest sympathy to you. God will have a special place for Joan. She touched our lives in a positive way during the short period we knew her. She was a caring person and fun to be with. We had lots of laughs in her company. We’ll miss her. We pray you stay strong as you mourn her loss. If you need anything, let us know. God bless. Love, The Logans. Our sincere sympathy to all of you at this sad and difficult time. You are in our thoughts and prayers. To the family: I am so very sorry and sad to hear of your loss. I spent a lot of time with Joan in our teens. She was a good friend, and a wonderful person. May God Bless you all at this time. Nancy and I were very sorry to learn of Joan’s passing. Joan was a great combination of John and Beatrice both of whom were also friends. She certainly enjoyed her later adult time in Hunt’s Point, renewing old acquaintances and making new ones. We will always remember her with fondness as we do with John and Beatrice. We offer our condolences on her passing and thanks for her life and her friendship.